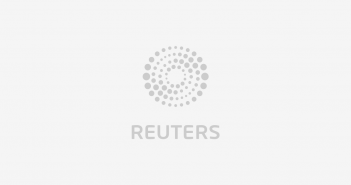 (Reuters) – Scientists in Britain and the United States say they have engineered a plastic-eating enzyme that could in future help in the fight against pollution. The enzyme is able to digest polyethylene terephthalate, or PET – a form of plastic patented in the 1940s and now used in millions of tonnes of plastic bottles. PET plastics can persist for hundreds of years in the environment and currently pollute large areas of land and sea worldwide. Researchers from Britain’s University of Portsmouth and the U.S. Department of Energy’s National Renewable Energy Laboratory made the discovery while examining the structure of a natural enzyme thought to have evolved in a waste recycling center in Japan. “It’s well within the possibility that in the coming years we will see an industrially viable process to turn PET, and potentially other (plastics), back into their original building blocks so that they can be sustainably recycled,” McGeehan said.